Like Anne Frank, I, too, believe that “Despite everything … people are really good at heart.” So this morning, when I made a spur-of-the-moment decision to log onto LiveNation.com and try to buy a better ticket to tonight’s Dave Matthews Band concert at Fenway Park than the one I already had (yes, I realize that’s a pretty silly thing to do), I knew that my next course of action would be to post that I had an extra ticket for sale on Craigslist. Lo and behold, I got lucky and found a seat right on the field, so I posted my ad on Craigslist, noting that I was only looking for face value so I could get my money back. Within minutes I had a few replies, and over the course of a couple emails, I deduced that the person who had been first to get back to me was for real, so I agreed to meet her at Fenway at noon to make the transaction. 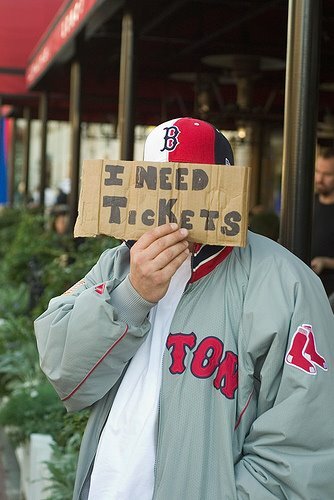 Not surprisingly, there were already folks at Fenway looking to buy/sell tickets, and as soon as one of them realized I was there to sell a ticket, he tried to take it off my hands, and with a small profit for me too. Well, I’m a man of my word, so I said no thanks — I was already meeting someone and had agreed to sell it to her. Then, at 12, I got a text message that my buyer was stuck in traffic and that she would be a little late. No problem, I thought. I’ll give her a couple extra minutes to get there. Alright, backtrack here to about a month ago when I had an extra ticket on the day of Bruce Springsteen’s second show. On my way into Boston to sell the ticket to someone I had “met” on Craigslist, I got stuck in traffic on 128, the Pike, and Storrow Dr., and ended up losing the sale because the guy ended up buying from someone else when I was late. So now the roles were sort of reversed, and I had a dilemma. 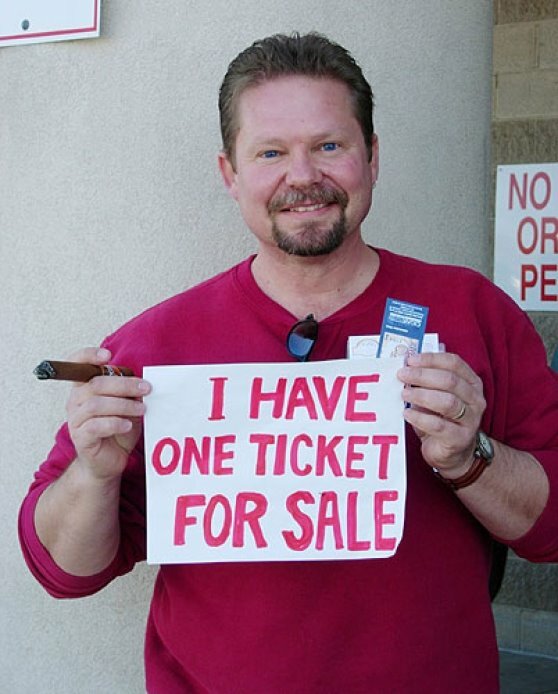 Sure, it would have been much easier to sell the ticket to the guy on the street and make a profit in the process, but I decided I would do the right thing and wait for my person to get there. Worse comes to worse, I had a plan B hovering over me, waiting for things to fall through. And even though she, too, would have had this same plan B, it just wouldn’t have been cool to make her pay more if she was an actual fan. 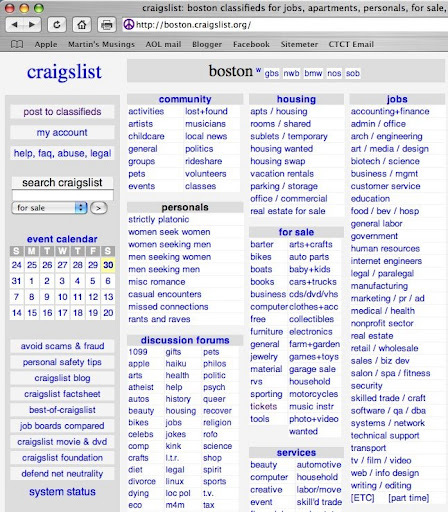 Call me a sucker if you will, or call me naive or stupid, but despite all the negative press Craigslist has received in recent months, I continue to believe in it and use it, and do so honestly, with good intentions. You can be skeptical, but I think it’s nice to see that there are other people out there who are like me and do the same.